I had the pleasure of speaking with Chris Kluwe, the now waived Minnesota Vikings punter. He’s considered one of the more outspoken voices in sports, and has recently sparked some controversy over whether or not he was waived due to performance, or because he was an advocate for gay rights, and known for speaking his mind on all subjects about which he feels strongly. Below is the unedited interview. TPQ: How do you feel that social media has changed the way that society looks at news? Has it been a positive or negative change? Why, or why not? Kluwe:Social media has changed the way we look at news by shifting information gathering to an instantaneous response as opposed to a daily or weekly response, as well as converting anyone with Internet access into a potential reporter. If you look back 25 or 30 years ago, news was something people received either from the daily news hour, their newspaper, or monthly periodicals, all of which were run by established organizations. Nowadays, you can go on Twitter or Facebook and be instantly up to date on anything you care to be informed about, and it might be from someone who lives in the area or uploaded a video. I think it’s been both a positive and negative change (like almost every other change in the world) – we get information much faster, but there’s so much more information to sift through it can be hard to determine what is the signal and what is just noise. 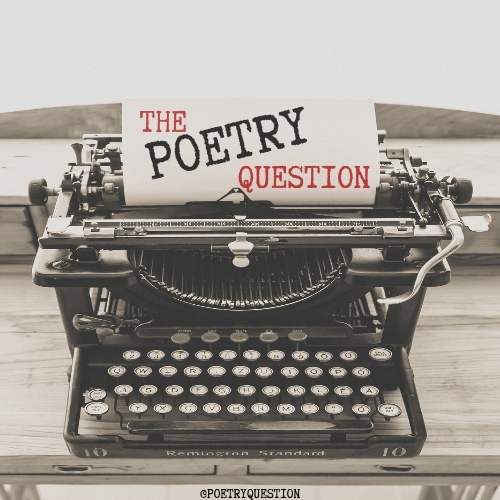 TPQ:Today’s generation has moved a bit away from the world of poetry as we knew it growing up, and ventured more into the world of hip-hop as poetry. Do you think this is a welcomed change? Should we still look back at the classics? Kluwe:I think it’s a societal shift, just as poetry was a societal shift from long form epics and oral ballads. Each generation determines what they view as important and worth pursuing, and one would hope that we would be able to look past the outer form to what is actually being talked about, which is the key part of any work of art. TPQ:You are one of the more outspoken athletes of the last several years. What made you decide to simply speak your mind on any number of subjects, rather than bite your tongue? How do you think that helped you, or hurt you, in the locker room, or with the media? Did you ever care what people said about your words? TPQ:On Rob Dibble’s show yesterday, a caller (might have actually been you) reminded us that you are far from the first outspoken athlete, and that Dennis Rodman was way more out there than you’ve ever been. Can you expand on that? If it wasn’t you, how do you feel about the comparison? Kluwe:Wasn’t me, but I think it’s an apt comparison, but not for the reason most people think. It gets back to the previous point of people being judged by what they do for a living, rather than what their actions and stances are, and I think one of the reasons Dennis and I have gotten so much attention is that we haven’t been afraid to be who we are, which is something I think everyone should aspire to. There should never be a penalty for you being yourself, and the fact that we have this idea that athletes should “shut up and play” really says some discouraging things about our societal values. TPQ:Do you find that athletes read fairly often? It’s been a question that many of my students have asked, and Damian Lillard, of the Portland Trailblazers, has been the only athlete to respond that he reads fairly often. I know you’re a science fiction fan, so are there any favorites that my students should grab? Kluwe:I read voraciously, and I know other guys read quite a bit, though probably more historical and biography type stuff than sci-fi/fantasy like I do (we have to fill those plane flight hours somehow). Recommendations would be anything by Iain Banks, Terry Pratchett, L.E. Modesitt jr., and Brandon Sanderson. TPQ:How’s your band doing? Who is the main lyricist? Kluwe:Band’s doing well, we’re finishing up our fourth CD, though we’re unsure how things are going to proceed now that I’ve been cut by the Vikings. I’m hopeful that we’ll find a way to stick together because I think we make some pretty good music. Our lyricist is the singer, Jesse, but we all weigh in and offer suggestions, just like any other part in our songs. We have a very collaborative mindset. TPQ:Finally, since we are The Poetry Question, we have to leave you with this one: What is Poetry? Kluwe:Anything that makes you think. It doesn’t have to rhyme, it doesn’t have to correspond to a specific form or function, all it has to do is make you ask “Why?”, just like any other piece of art. TPQ:Thank you so much for taking the time to answer these questions. We are very grateful to have you on board. How Does David Banner Feel About Poetry? Thanks for finally talking about >INTERVIEW: Chris Kluwe, NFL Punter, and Outspoken Athlete on the TPQ � The Poetry Question <Liked it! Chris Kluwe was a punter in the NFL with the Minnesota Vikings for eight years. Married with children, Kluwe decided to speak out on a societal issue that he cared about. (Marriage equality.) According to Kluwe, his employer responded with harassment and eventually it cost him his job. He recently wrote about the experience in a powerful piece entitled “I Was An NFL Player Until I Was Fired By Two Cowards And A Bigot” published on DeadSpin.com. This week’s Saturday Reblog is a recent interesting interview of the former NFL player by a poetry website.